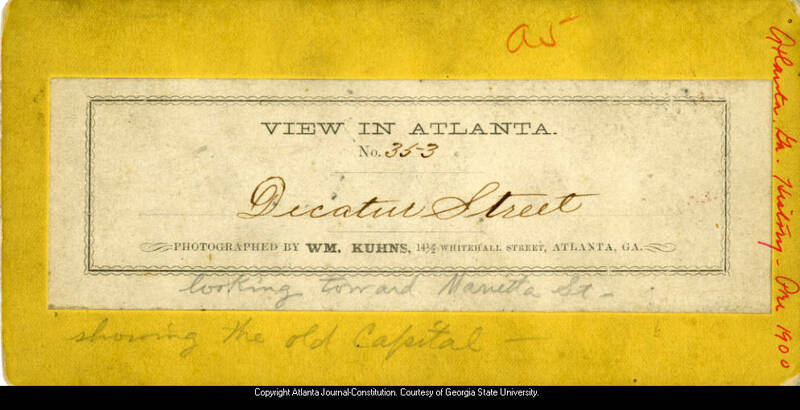 Atlanta began as a simple point from which to begin construction of a railroad. It’s geography was chosen because it seemed a suitable route to the Chattahoochee River, not for its suitability to become a great city. 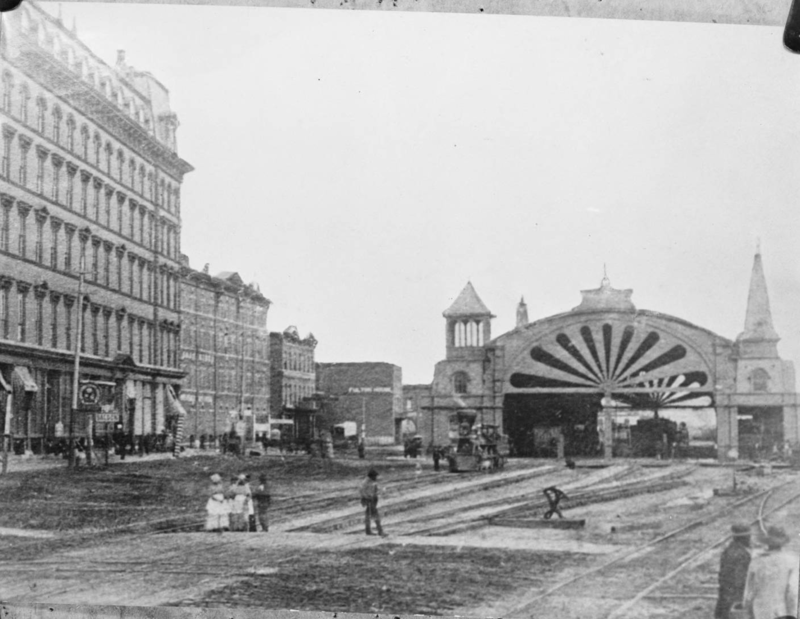 This railroad soon became a necessary hub of commerce, trade, and later, supply lines for the Confederate Army. 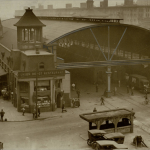 The railroads also attracted development. 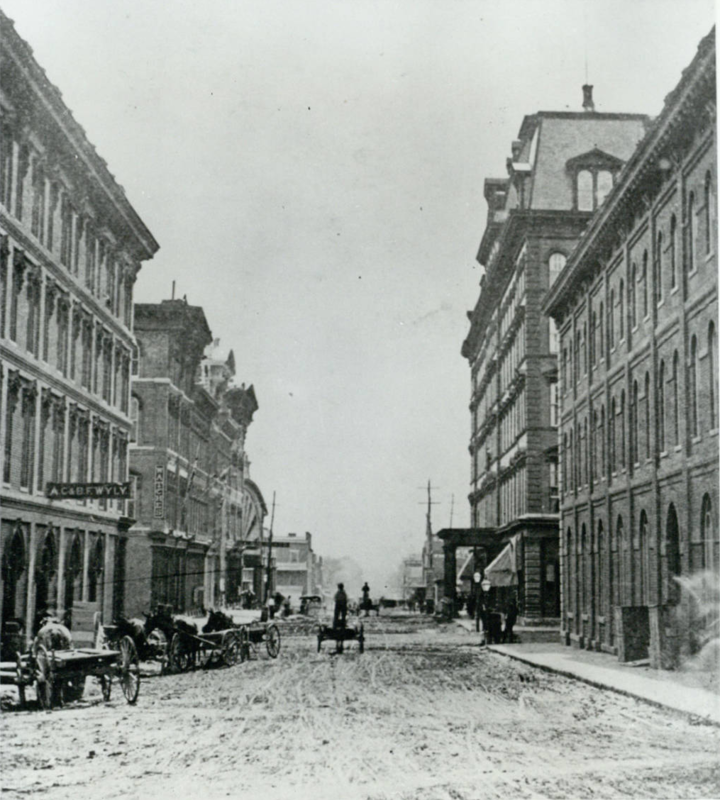 Street-grids were formed haphazardly along the tracks in an effort to capitalize on the new “front facing” property. 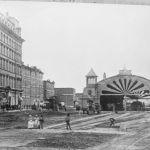 Thus Atlanta developed its first downtown centered around the terminus of the Western & Atlantic, the Western & Macon, and the Georgia rail lines, the area we now know as “The Gulch.” We know what happens next. It’s said that 40% of Atlanta was destroyed during Sherman’s “March to the Sea.” Of the 3,600 homes within a half-mile radius of the city’s center only 400 remained. The Cotton States Exposition was hosted in 1895, the city’s third exposition since the Civil War. 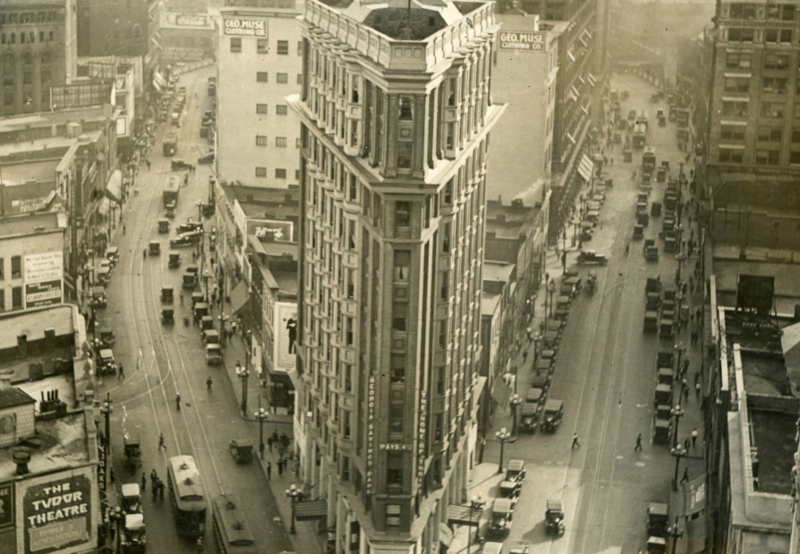 Atlanta had breathtaking architecture, and many buildings were designed the by leading architects of the day. 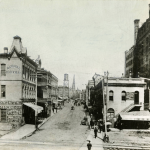 Kimball House 1 (1870), Concordia Hall (1892), Kimball House 2 (1885), Georgia Capital Building 1 (1880s), Post Office and Customs House / Atlanta City Hall 1878-1930, and others. Above all else wanted growth and recognition, although this did not go uncontested. 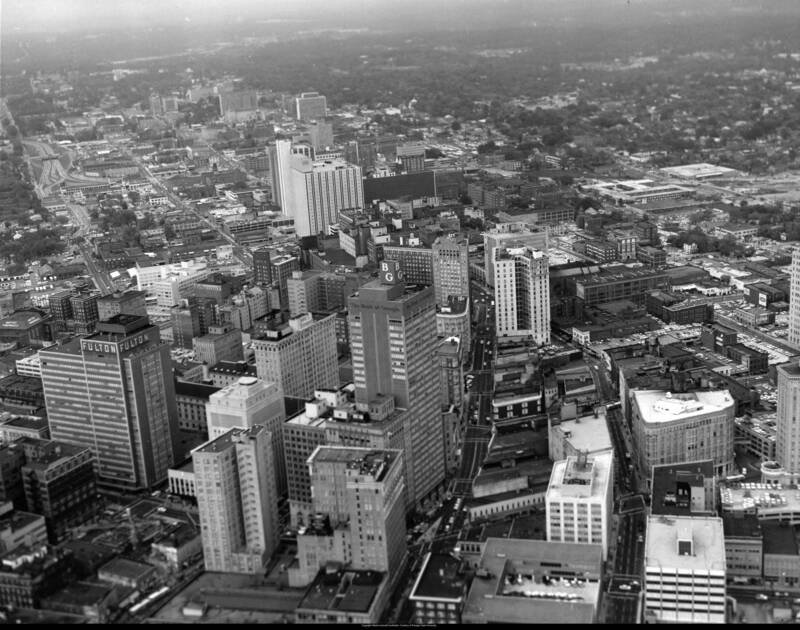 Henry Grady and others viewed Atlanta as the capital of the south, as to what that meant was fiercely debated. 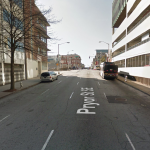 Pryor St from Marietta Looking South, towards Union Station. Kimball House (#1) on right. 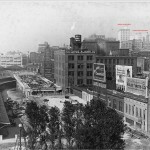 The location of the water tower identifies 5 Points intersection, Kimball House (#2) on right. 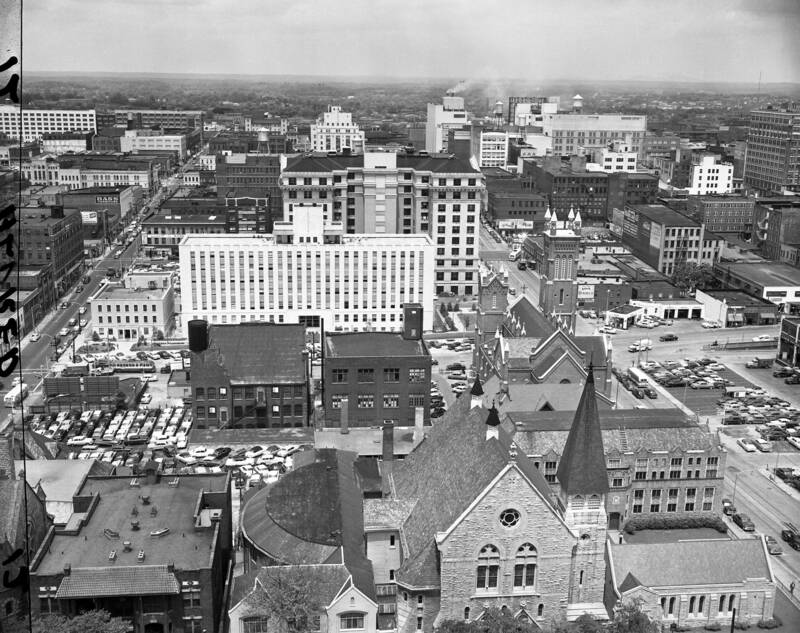 Modern-day view of “The location of the water tower identifies 5 Points, Kimball House (#2) on right.” Note the water tower sculpture at 5 Points intersection. 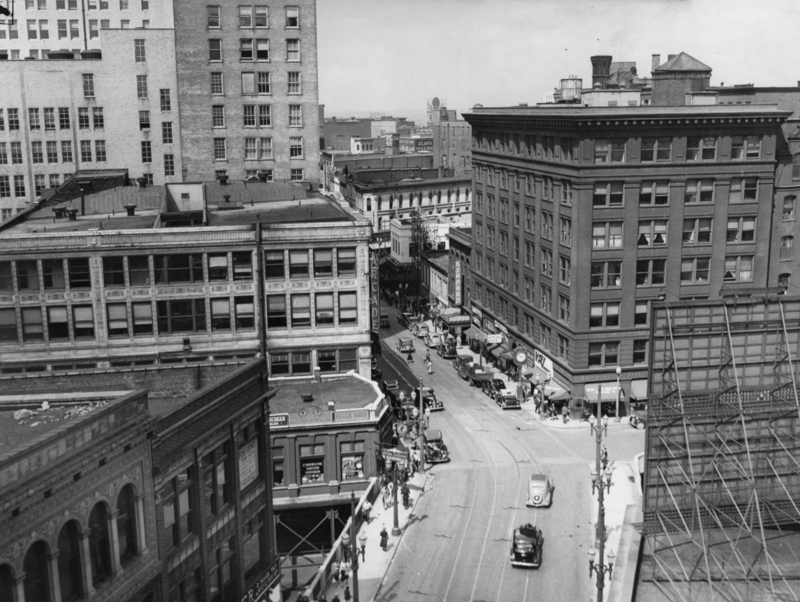 Intersection of Peachtree and Broad St.
By the 1920’s Atlanta had grown into a full fledge metropolis. By all accounts Grady had won the debate. 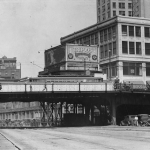 We began to expand the viaducts spanning the problematic railroads. 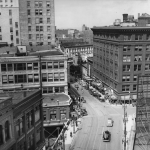 Electric streetcars flung people to now in-town neighborhoods such as Inman Park, Grant Park, and West End. The 1920’s also marks an era coming to a close. 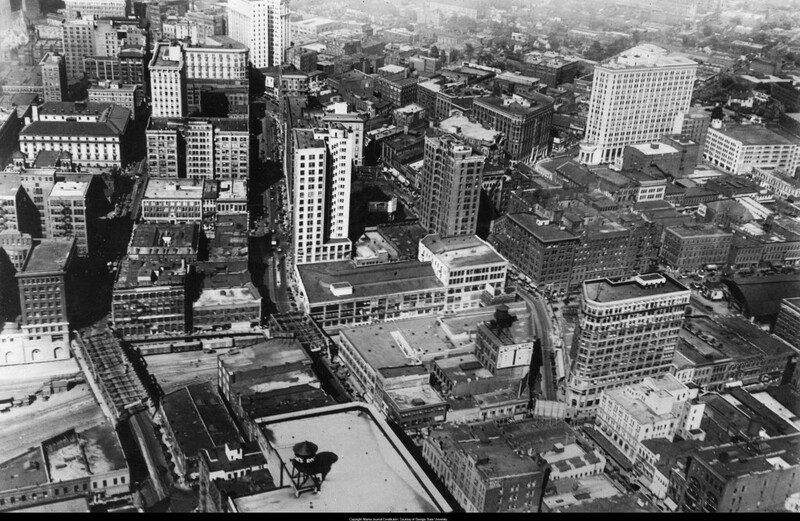 It was during the 20’s, perhaps, that Atlanta reached its height of reconstruction, though its fate was sealed by the depression of the 1930’s. 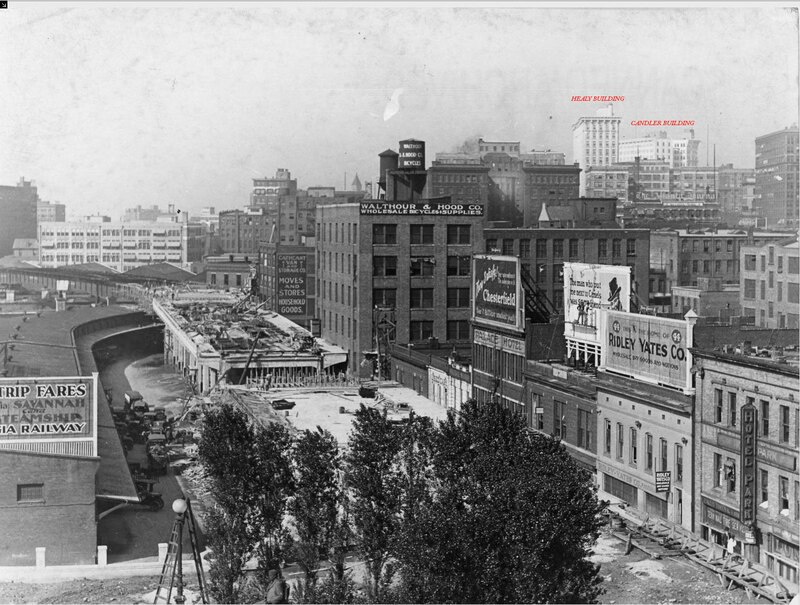 During 1930 the second Union Station was demolished along with the “old” city hall. 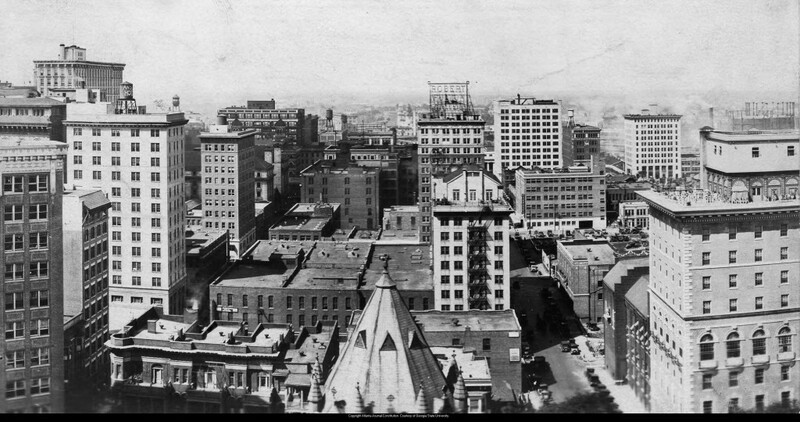 The 1920’s and 30’s marked the beginning of the modernization of Atlanta. 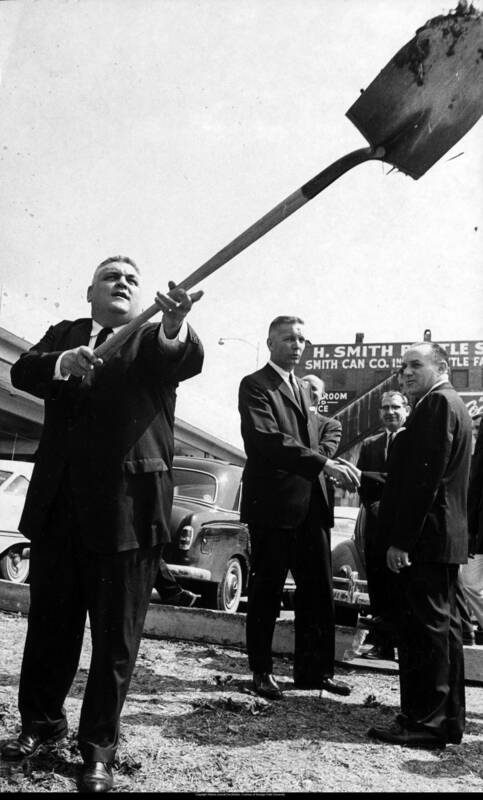 Traffic studies began to take place, a first for Atlanta. One study even suggested underground moving sidewalks to deal with pedestrian traffic. And theatres, there were so many of them! 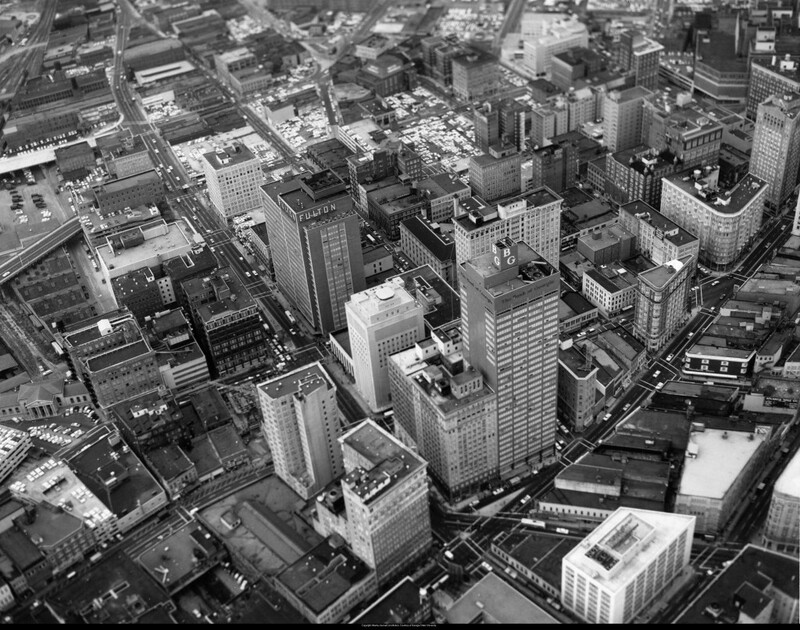 The Tudor Theatre is clearly visible in the image above, we know the 81 Theatre, Loew’s Grand, Paramount, were all within a few blocks of each other. 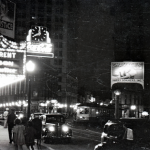 With such an abundance of theatres its easy to see the city’s willingness to tear them down. And tear them down it did. 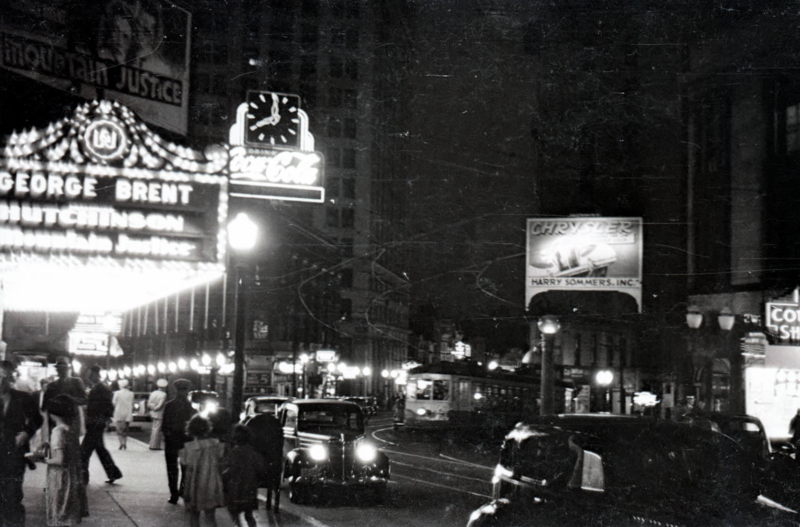 None of the theatres mentioned are still standing today, despite Loew’s Grand having historical protection. But most of these demolitions weren’t seen as losses at the time, there were seen as progress. 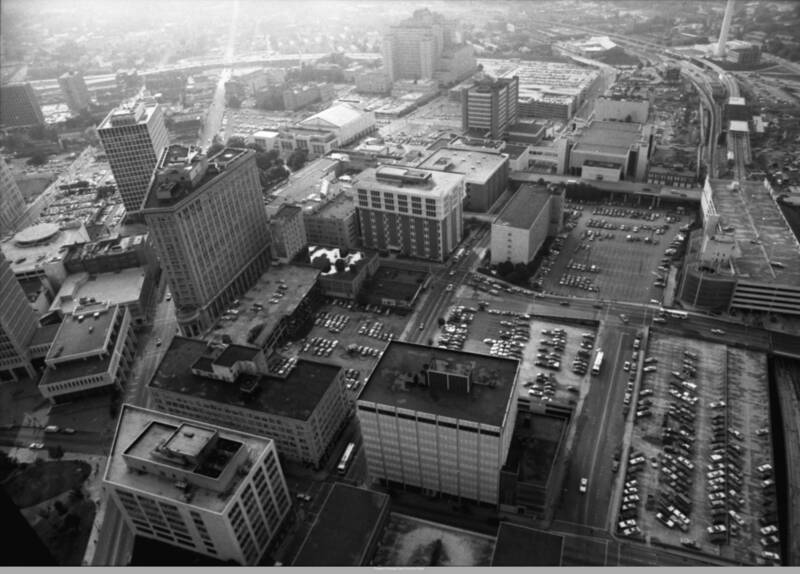 After all, Atlanta had built a new Union Station, the site of the old city hall would soon host 34 Peachtree 55 Marietta , Atlanta’s tallest for some time. 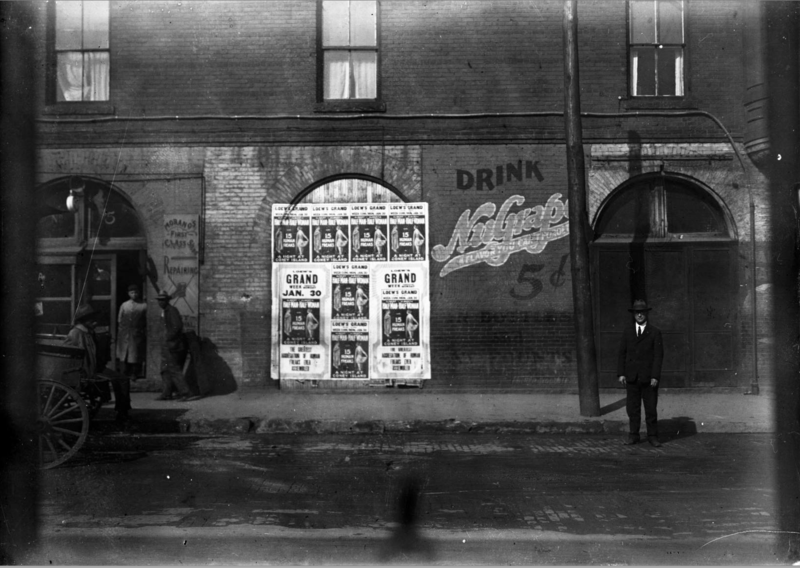 Morano’s First Class Shoe Repair, 55 Central Avenue SW, Atlanta, Georgia, circa 1927. This period dwindles down with the end of WWII, after which a huge migration of affluent whites out to the suburbs takes place. 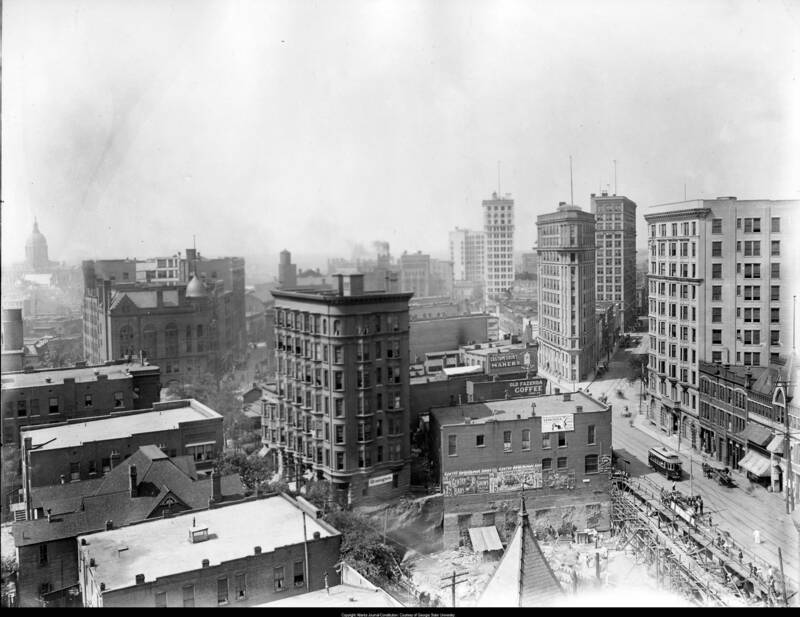 Nonetheless our historic buildings still stood, and downtown Atlanta remained a bustling shopping center…for a time. 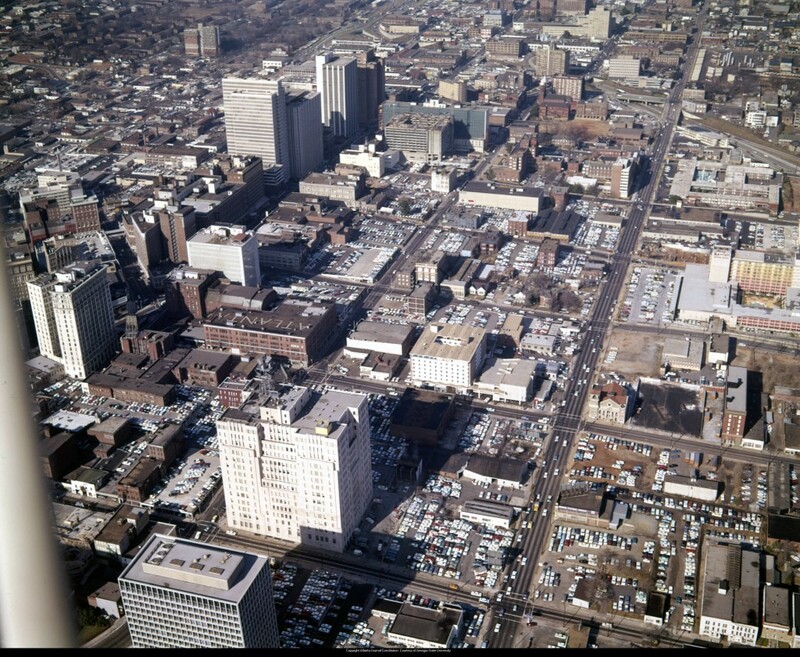 During the 60’s-80’s downtown areas meet a new challenge from the suburbs. 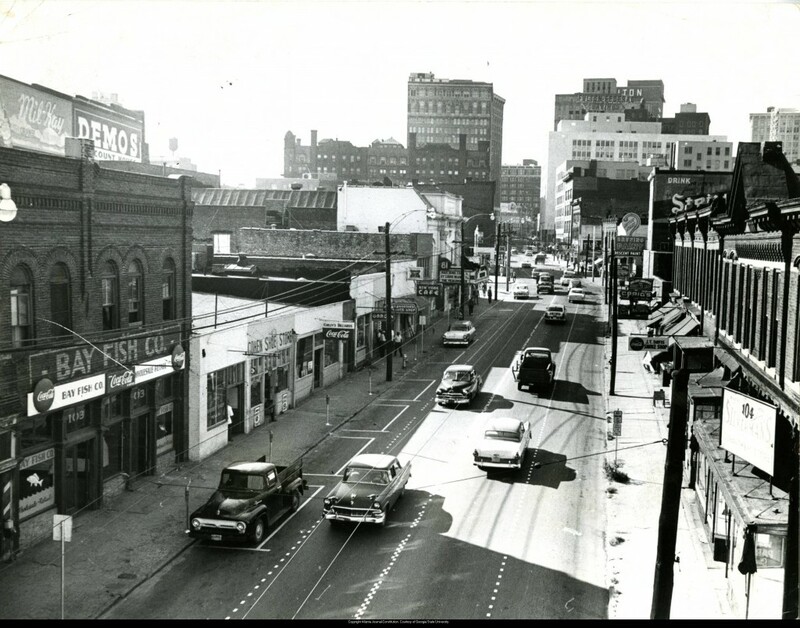 Never before had such a strong force of competition drew shoppers away from the central business district. 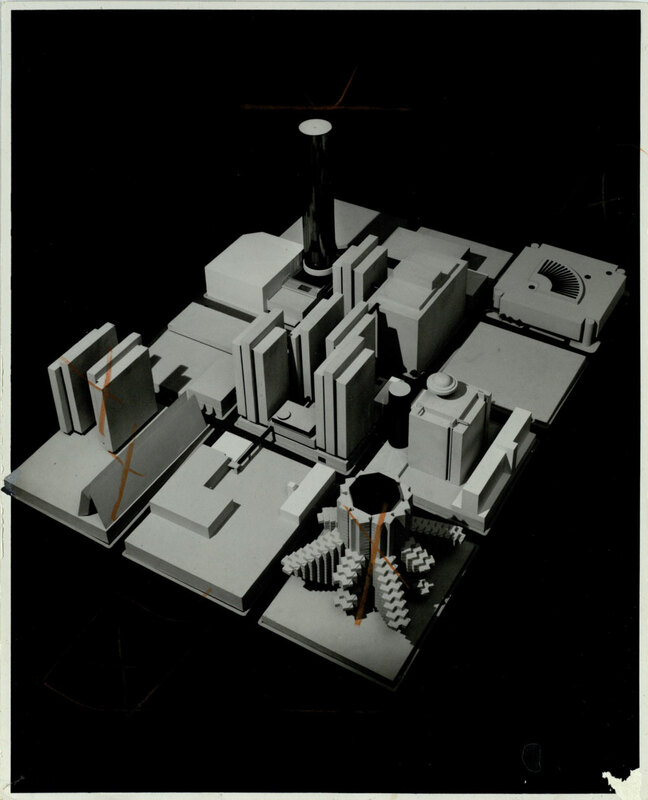 Cities were at a loss. 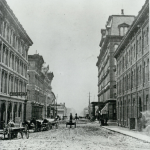 Should downtowns become more like the suburbs? 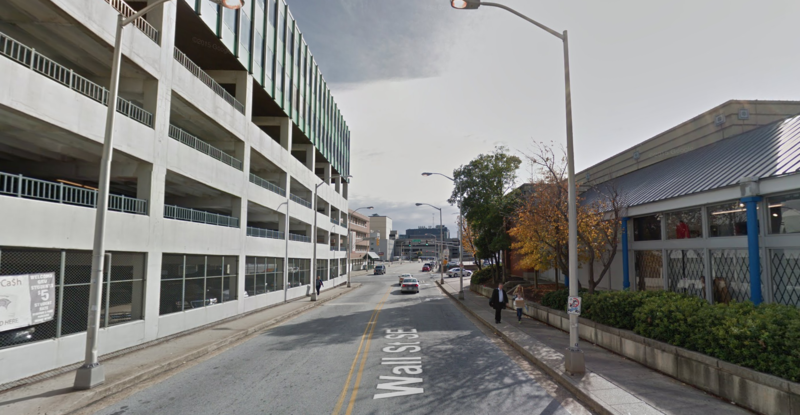 Were inner-city malls the answer? Do people want to live in a city? 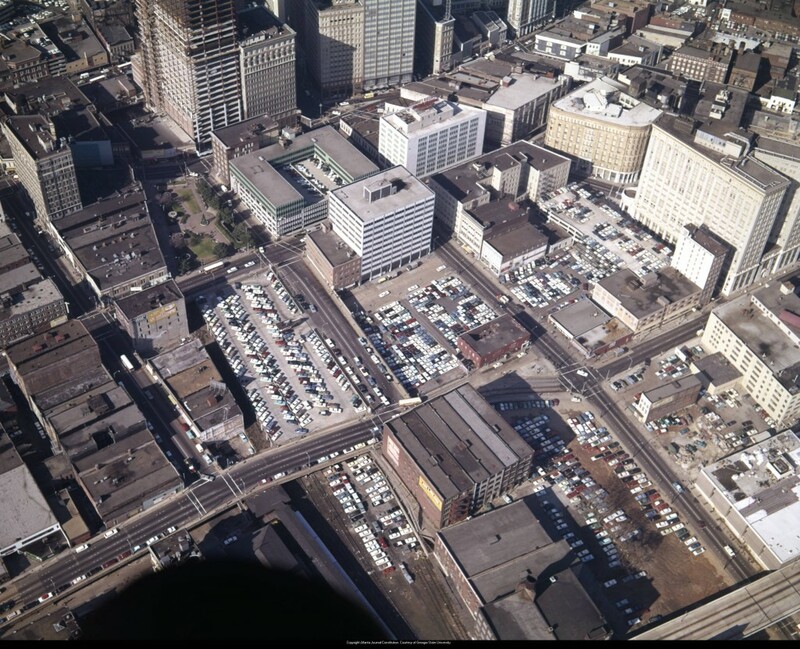 These questions and more were pondered as property values plummeted and the construction of our highway system offered individual mobility, far away from these inner city problems. 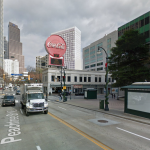 It wasn’t until John Portman’s vision for a “new center” that Ivy Street was widened and renamed “Peachtree Center.” At the time it was sold to the public as a walkable pedestrian corridor. 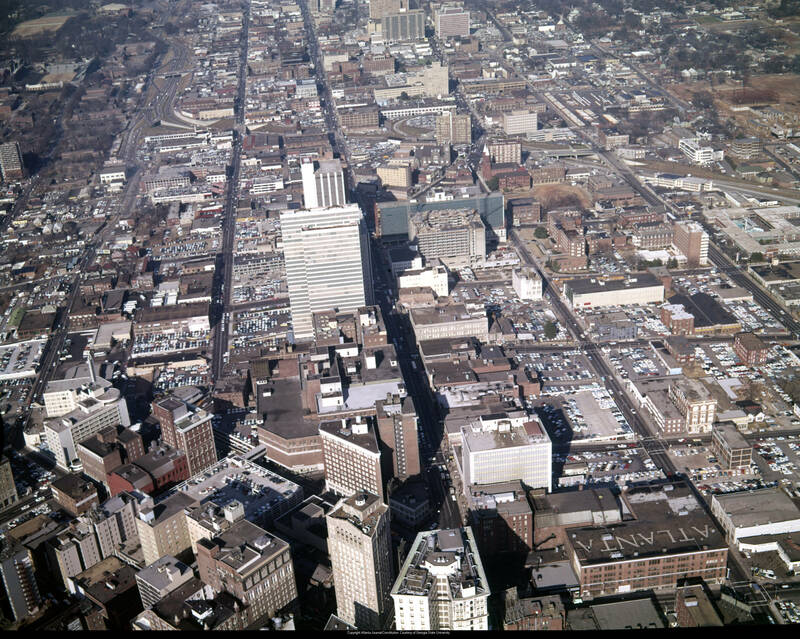 To get an idea of Peachtree Center before demolition, take a look at these photos looking towards a “Suddath Storage,” Suddath 1, Suddath 2, and the modern view. But who could cherish these derelict relics in a time of such promising modernism. 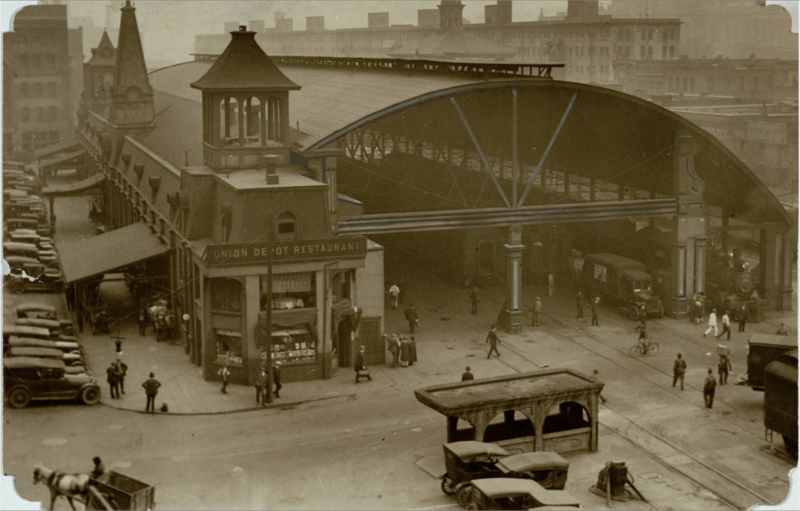 Many of these buildings were seen as out style, old, and as elements attracting crime. 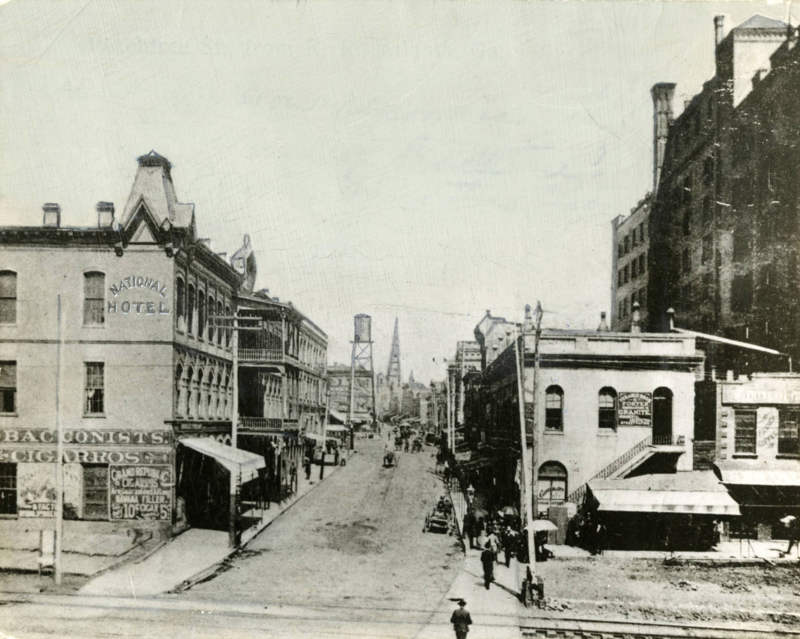 The once popular hotels, such as the Francis Hotel [article missing], had become “extended stays” catering to a low income and a seemingly drugged out crowd. 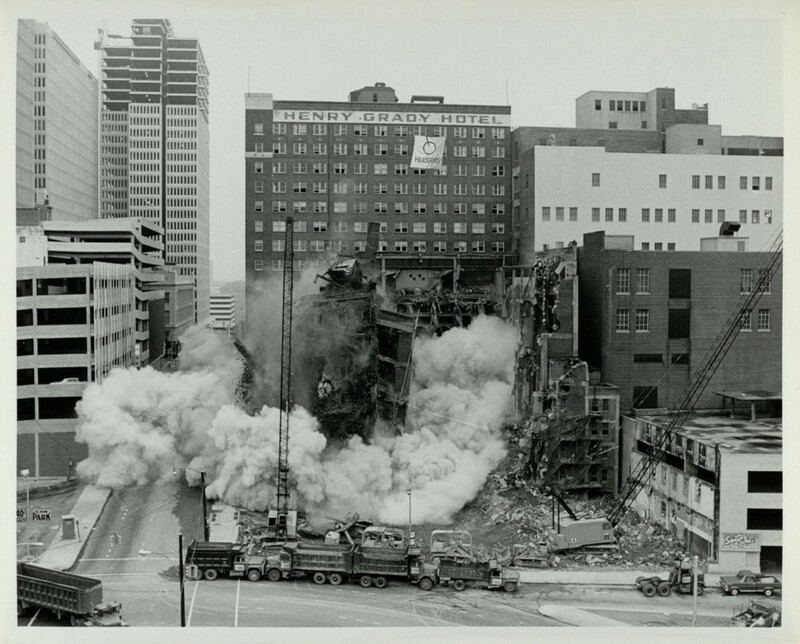 Stylistically, the more Atlanta began to modernize, the more its historical buildings began to look out of context, as this picture, taken during the demolition of the Francis Hotel, illustrates well. But the sum of destruction was greater than its parts, and by 1980 Downtown Atlanta was little more than parking lots, a few overbuilt skyscrapers, and highway. This “modernization” was not isolated to its northern or southern fringe. 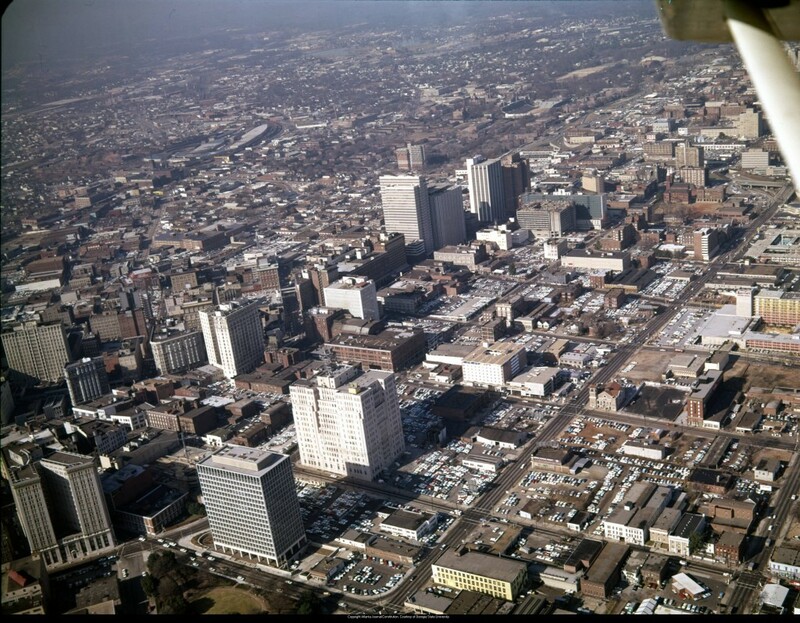 City-wide, demolition projects took place throughout 60’s-80’s, even if the 1973-1975 recession somewhat slowed developments. 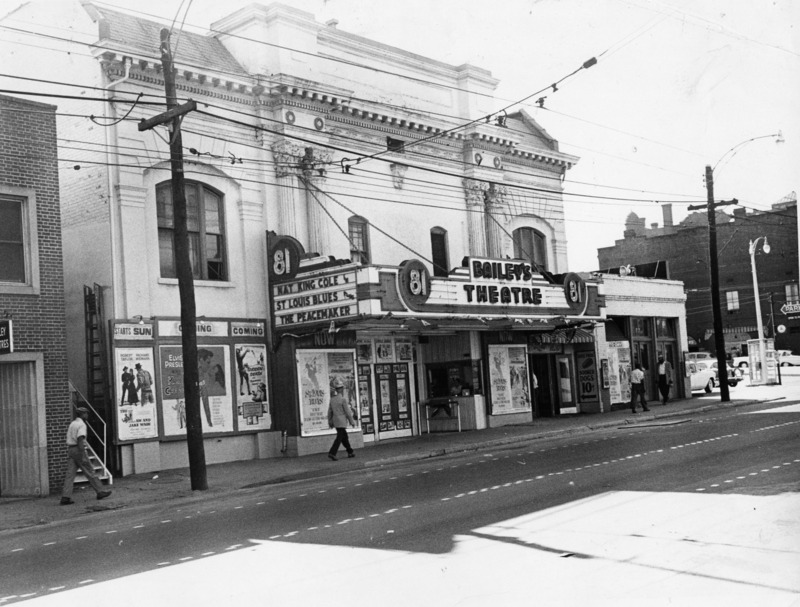 Site of 81 Theatre, 1965. Site of Kimball House now occupied by green parking deck. The landscape of Atlanta now seems to be changing again. 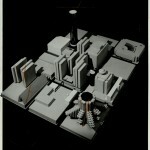 The question of whether or not people want to live in a city is finally being answered with a resounding, “Yes! Well, some of them.” Although competition from the suburbs is still very real, it’s a more familiar battle of preferences than it was in the 1980’s. I think Atlanta has finally learned that it’s different from the suburbs and is working to make those differences its strengths. Today, Atlanta is among several cities in the nation experiencing an influx of young residents who see urban life as something worth seeking out. 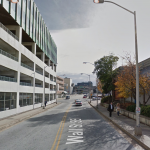 Public improvements are underway at an exciting pace with projects such as The Atlanta BeltLine and others. We’re seeing new uses for old buildings and a stronger commitment to the downtown area than we had in the 70’s and 80’s. Hopefully with this phase of growth, we won’t see the need to demolish old buildings to usher in some rapid form of change. This time, maybe, we’ll get it right. But more importantly, if we don’t get it right, I hope we’ve learned that small adjustments are easier to correct than sweeping demolitions. I find your post extremely insightful. 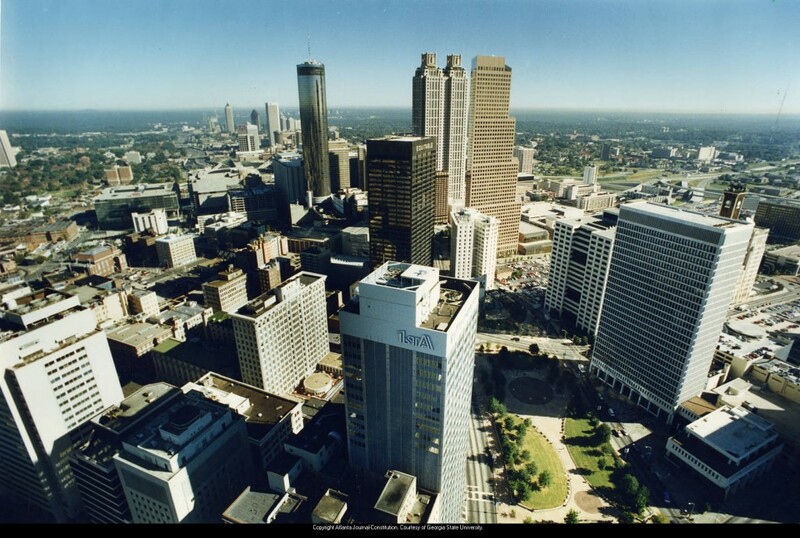 It’s given me a whole new perspective about the city of Atlanta, and also an appreciation of its history. Good research and love the photographs. A few in there that I have not seen before. 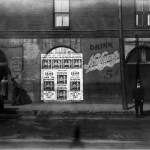 I can even make out an advertisement for the hometown brewery’s Steinerbrew beer (Atlantic Brewery) in the 1950s Decatur Street shot. Speaking of Decatur Street, I wish a portion of the historical buildings still existed (Kimball House, 81 Theatre, and a section of “saloon row”) along that historic road. 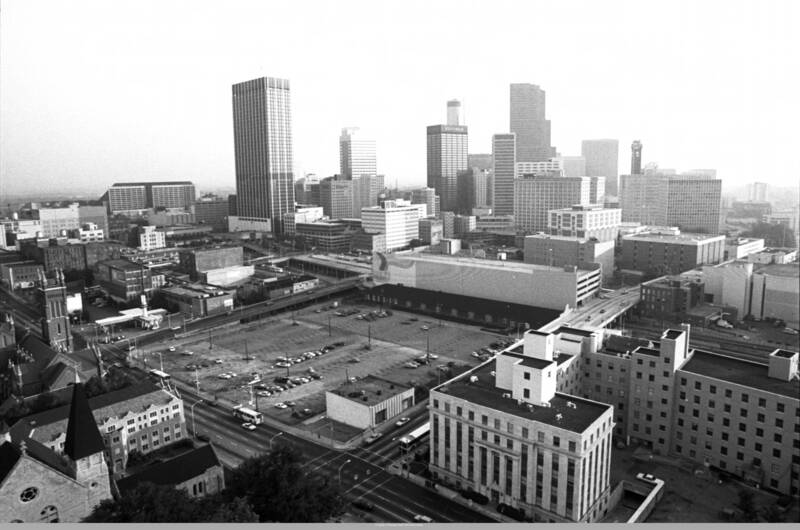 I also love your opening line, “To search for historic Atlanta is like searching for fragments of city scape blown apart by an enormous shotgun blast.” Isn’t that the truth! After researching for two books on Atlanta history, I could not agree more. Can I quote you on that one!?! © 2019 Idea Tank. All rights reserved.